I was lucky enough to be part of the Londonist Out Loud Podcasts two weeks ago and got the opportunity to talk about quirky, interesting & topical London news of that week - Tube challenge, London Myths and the anniversary of the 7/7 bombings. If you download the free podcast on iTunes The Tube challenge chat is right at the beginning. If you zoom along to 32:40 that's where I start talking about London myths & NomNomNom - a blogger's cook-off that I've been helping to organise for the past four years. If you then fast forward to 42.08, you'll hear a plug for our charity raffle in aid of Action Against Hunger. It was fun doing the panel discussion and interesting to hear my fellow panellist Olivia Armstong's views on Tube challenging too. 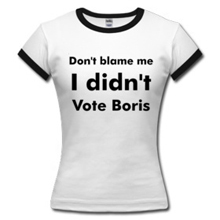 The London Myth I debunked was the "fact" that there 109 journeys on the Tube which are faster to walk than if you travel by the London Underground! Thanks to host N Quentin Woolf from making the whole podcast experience a lot of fun. 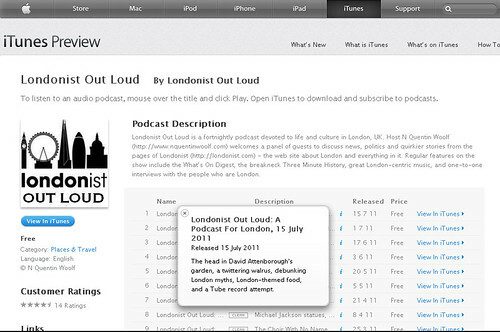 Those without iTunes can listen to the whole podcast on Londonist.